Tens of thousands of people are expected to march in London on Saturday in support of a People's Vote being held on Britain's final Brexit deal. 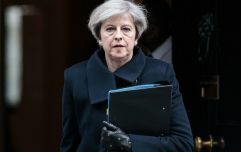 Attendance at the demonstration is expected to exceed previous marches held in the capital as negotiations between Theresa May and European Union representatives near an end. Twice as many coaches having been booked as for a protest in June estimated to have an attendance of 100,000 people. Protesters will begin assembling from midday on Saturday on Park Lane in central London before descending onto Parliament Square where speakers will deliver in support of a People’s Vote from 2pm onwards. The demonstration will be led by TV chef Delia Smith and Dragons Den judge Deborah Meaden, along with cross-party figures, including London Mayor Sadiq Khan. Labour MP Chuka Umunna, Lib Dem leader Sir Vince Cable, Tory MPs Sarah Wollaston and Anna Soubry and Green Party MP Caroline Lucas, are among the other supporter of the People's Vote campaign. Femi Oluwole, of anti-Brexit youth campaign group Our Future, Our Choice, said: "After 7 months of campaigning it's really heart-warming to see that so many people are on their way to London this Saturday to march for a People's Vote. Those walking the corridors of power should be sitting up and taking notice of the momentum that's led us to this point. "People are coming from all over the country, from the four home nations, from the south west to the north east, from every single background and walk of life to make their voices heard." 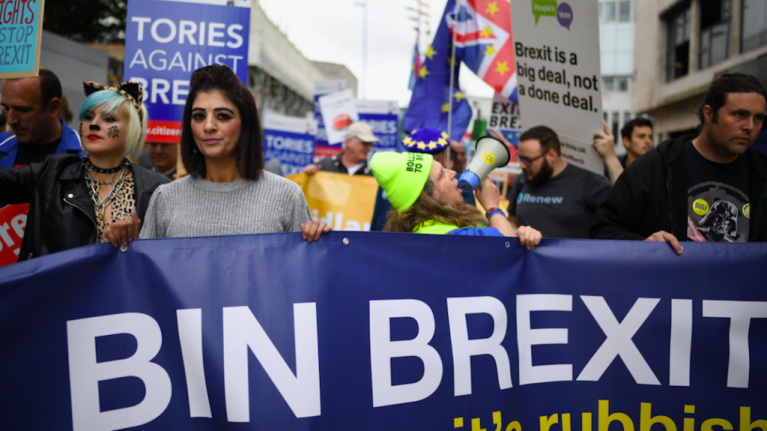 The People's Vote campaign is the most cohesive and effective opposition that Brexit faces in the UK, since its conception in 2017, hundreds of thousands of people have marched the streets under its banners.